If you need any information related to the field of flat reforms in Mallorca, or to any other kind of reforms, you can find below our contact forms to reach out and request a customized budget. We present you with different means of contact so that you can choose the one that suits you better. You have to know that house reforms service in Mallorca, “chalet reforms in Mallorca” or villa reforms in Mallorca have all a customer service center available in a wide schedule. 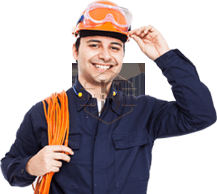 Thanks to this, the moment in which a customer reaches out to us, he or she will find a specialized technician to provide answers to all his or her questions. This is the only way we have to be absolutely sure that our customer service is the best in the market. If you need any information related to the scope for reforms in Mallorca you could use our contact forms to reach us.